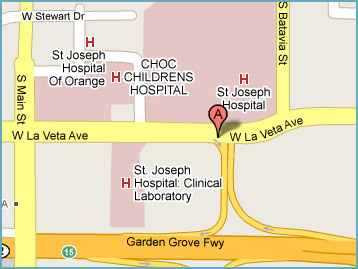 Dr. James Lee has his office in Orange, CA, in the heart of Orange County. It is easily accessible from three main freeways, the I-5, 22 and 57 and you will find driving directions by clicking on the link below. If you have any questions, please do not hesitate to call the office at 714-835-7700. To schedule your appointment with Dr. Lee, call 714-835-7700 or use our Request an Appointment form. We offer our services to residents of Anaheim, Irvine, Newport Beach, Orange, Tustin, CA and adjacent communities. We look forward to meeting you!